Vestnorden Travel Mart will be hosted by the city of Nuuk, Greenland’s capital for the second time ever in 2017. Nuuk was established in 1728 by the Danish-Norwegian missionary Hans Egede. An Arctic metropolis today, Nuuk is an urban hub with grand nature right at its doorstep. It’s also where traditional culture coexists with modern living. Whether you are a cultural enthusiast or an avid nature enthusiast, there are many colourful adventures on offer in Nuuk such as snowmobiling, snowshoeing, hiking, fishing and visiting museums. Greenland may look like a never ending Ice Sheet from an aerial perspective, but it is a land full of contrasts waiting for you to discover. See Arctic desert landscapes in the high north and fertile sheep farms in the south. Sleep under the northern lights in winter and the midnight sun in summer. Because it’s the world’s largest island with one of the lowest population densities in the world, you will be an intrepid adventurer while doing it. To make it easy for you, the Big Arctic Five highlights five different attractions that you can experience in Greenland: Dog Sledding, Northern Lights, Ice and Snow, Pioneering People and Whales. Greenland is one of the last places you as an adventurer can discover on Earth – we look forward to welcoming you! When will I receive my flight ticket? The airlines will issue flight tickets with your name on them late August/early September. What are my wifi and connection options? There will be wifi provided during VNTM 2017 at the main venues Hotel Hans Egede, Katuaq Cultural Center and Inussivik. Wifi in Katuaq and Inussivik is proudly sponsored by Tele-Post. If you would like to purchase a sim card, you can buy a pre-paid TUSASS sim card at the local Post Office. 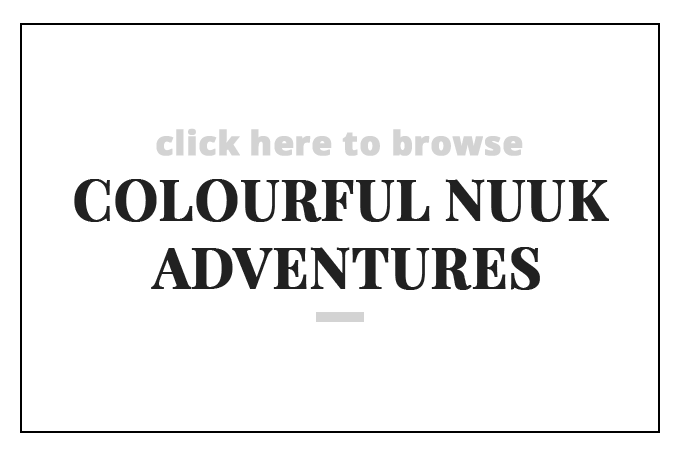 I cannot see the Colourful Nuuk Adventure I want in the list. Where did it go? If you cannot find your desired Colourful Nuuk Adventure in the list within the registration system, it is because that activity is already sold out. I am receiving an error message about my phone number. What should I do? Please double check that you have used a plus sign (+) plus zeros (0) as needed to indicate your country code. For example, for USA 01 will not work; it must be +001. Do you have any step-by-step tutorial film? Why yes, we do, actually. We are so glad you asked! See the registration tutorial for BUYERS here. See the registration tutorial for SUPPLIERS here. Use the password VNTM17 for both. For Air Greenland flights, passengers may bring 20 kg / 44 lb of checked baggage plus one piece of carry-on baggage weighing up to 8 kg / 18 lb. Read more about Air Greenland’s baggage policies here. For Air Iceland Connect flights, passengers may bring 20 kg / 44 lb of checked baggage plus 6 kg / 13 lb of carry-on baggage. Read more about Air Iceland Connect’s baggage policies here. For Atlantic Airways flights, passengers may bring one piece of checked baggage weighing up to 23 kg / 51 lb plus one piece of carry-on baggage weighing up to 8 kg / 18 lb. Read more about Atlantic Airways’ baggage policies here. Having trouble with the registration system? Watch a step-by-step tutorial for help. I want to book my connecting flights. When should I do that, and for which days? We kindly ask that you wait to book any connecting flights until you receive a mail from flyvntm@greenland.com notifying that flight reservations are available. We understand that this may be causing a delay in your workflow, and we are trying to mitigate the inconvenience as quickly as possible. We greatly appreciate your patience. It is recommended that you utilise as robust a travel insurance plan as possible. Additionally, no matter which date you fly on and no matter whether you travel through Keflavik or Copenhagen, it is recommended that you book changeable/refundable tickets in case of delays, with a minimum of one day’s layover. Your booth size depends on how many persons from your organisation will participate. This means that a booth for 1 or 2 suppliers has a size of 1 x 3 meter with a total of 6 sq meters allocated to the booth area. A booth with 3 or 4 suppliers has a booth size of 1 x 6 meter with a total of 12 sq meters allocated to the booth area. Please see the bottom of the Venues page on this website for precise booth dimensions as well as wall dimensions for any signage you may bring. How much does Vestnorden Travel Mart cost? There is not a simple one-liner answer for this, as the registration price depends on several elements: whether you are a buyer or a supplier, how many persons from your organisation will participate, and whether you register before or after the Early Registration date (15 June). Please see the Register page on this website for precise costs. All buyer information comes first; supplier information comes next. Please also be aware that participation in a pre-tour and/or a post-tour has additional associated costs. Who can I contact with questions? Is there someone dedicated to my market? There are several email addresses you can write to, depending on your inquiry. Greenland as a destination. There is a team of 4 persons working with international relationship management, and the appropriate person for your market will contact you. Iceland as a destination. Your mail will be forwarded to the correct contact.  Faroe Islands as a destination. Your mail will be forwarded to the correct contact. cancelling your participation. Please write ”Notification of Cancellation VNTM2017” in the subject line. Note that fees do apply and become more severe the closer the event date approaches. name changes. Please write ”Name Change Request VNTM2017” in the subject line. Note that fees do apply and become more severe the closer the event date approaches. I’m neither a buyer nor a supplier. Can I still participate? In general, Vestnorden Travel Mart is primarily for buyers and suppliers only. However, we are always willing to take requests on a case-by-case basis. Please write to Karin at vntm@greenland.com with your request. Can I have more than 2 buyer representatives for my company? No. Due to limited capacity with regards to flights and accommodation, and with wanting to keep an even ratio of buyers to suppliers, we can only accept 2 buyers per company. When do I pay for my pre-tour and/or post-tour, if I get a place? When you receive confirmation about receiving a spot, you will also get a link to make payment for the tour. Prior to this, please go ahead and make payment for the conference itself. When can I expect a confirmation about my pre-tour and/or post-tour? Confirmations will be sent by 15 June, at the latest. We understand that most of you need to wait to hear confirmation before you book your connecting flights from home, so we will try our very best to give notification prior to that date. You will receive notification whether you receive a spot or not. Do I automatically get a spot on the pre-tour and/or post-tour I signed up for? No. Upon registration, when you mark a desired pre-tour and/or post-tour, it is a REQUEST only. You should not consider yourself confirmed for the tour. Are there any airlines offering discounted fares for the event? Both Air Greenland (Greenland’s national airline) and Air Iceland are significant partners for Vestnorden Travel Mart with regards to transport, and they have therefore offered the best possible prices to get buyers to the conference. The airfare included in the conference fee and the pre-tour / post-tour fees for buyers is already deeply discounted. The airlines will issue flight tickets with your name on them on 1 September. Can I change my flight route? What if I prefer to fly via Iceland instead of via Denmark? No, flight routes may not be changed, especially in connection with pre-tours. An incredible amount of behind-the-scenes work has been done to ensure everyone reaches their Pre-tour or Conference destination on the right day and time, and there are simply not resources enough to honour individual requests. How to register as a buyer or supplier? There are a few important things you should know about travelling to and in Greenland. To get a thorough understanding, we suggest that you watch Greenland 101, an online course which introduces you to practical and cultural information that will help you on your journey! Here you can find Online Courses. There are 4 worldwide cities with direct flights to Greenland – Copenhagen, Denmark plus three in Iceland: Reykjavik, Keflavik, and Akureyri. The typical flight time from Iceland is 2-3 hours while it takes 4 hours to fly from Denmark. There are two airline companies flying to Greenland. In September, you should consider dressing in layers so that you can adapt to the changing weather. Remember to bring a warm hat, gloves, and lightweight waterproof outer layers. Footwear depends on the activity that you will undertake when in Greenland, anything from a sturdy closed-toe shoe to a supportive hiking boot will suffice. Summer clothing in Greenland from Visit Greenland on Vimeo. Other frequently asked questions can be answered here. Colourful Nuuk Adventures is a brand new element to Vestnorden Travel Mart. All Buyers and Suppliers get the chance to break free from appointment-mode on Tuesday 19 September and discover our capital city, Nuuk, for the afternoon. These Colourful Nuuk Adventures are free experiences included in the conference registration fee. There are over 20 Colourful Nuuk Adventures to choose from, and they run the gamut from sailing to remote huts in the fjord to trying your creative hand at making a piece of the traditional national costume to touring museums. It is up to you to choose the one adventure that best suits your personal interests.